The number of cyclists continues to grow as people use their bikes to commute to work or as a way to get exercise. Unfortunately, cyclists are at a deadly disadvantage on the road with cars and trucks. The lawyers at The Law Offices of Frank L. Branson understand the rights and responsibilities of all who share the road, and work to make sure families receive the compensation they deserve after a catastrophic bicycle accident. In addition, we treat each client and family member with respect and compassion. 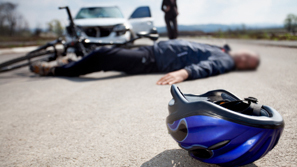 Attorney Frank L. Branson and his team of attorneys, transportation experts, and medical professionals thoroughly investigate fatal cycling accidents to determine who is responsible. The Law Offices of Frank L. Branson handles serious injury and death cases resulting from defective design of bicycles, negligent maintenance of bikes, and faulty bicycle-related equipment. To learn more about our experience in fatal bicycle accident matters, we invite you to contact the firm here.